Hampleton’s Industry 4.0 M&A Market Report records more than 600 deals in 2018, up from 513 in 2017. The analysis reveals that the highest level of interest lies in AI technologies with context information, digital threads and digital twin solutions. Dr.-Ing. Peter Baumgartner, sector principal at Hampleton Partners, said: “A mere buzzword a few years ago, Industry 4.0 has become today’s reality and is one of the hottest M&A sectors in the DACH region. Liquidity is at a high level, meaning that buyers have the funds to support start-ups or established Industry 4.0 players, and the cutting-edge technology coming out of the region has generated many M&A deals.” Industry 4.0 has become integral to the region’s technology giants such as Bosch Rexroth, Festo and Siemens, whilst a recent strategic partnership between Rockwell Automation and PTC, accompanied by a $1 billion equity investment from the former, further demonstrates the importance of integrating innovations such as IoT and augmented reality with more traditional industrial automation. According to a study by the Ponemon Institute in December 2018, bots comprised over 52% of all Internet traffic. While ‘good’ bots discreetly index websites, fetch information and content, and perform useful tasks for consumers and businesses, ‘bad’ bots have become a primary and growing concern to CISOs, webmasters, and security professionals today. They carry out a range of malicious activities, such as account takeover, content scraping, carding, form spam, and much more. The negative impacts resulting from these activities include loss of revenue and harm to brand reputation, theft of content and personal information, lowered search engine rankings, and distorted web analytics, to mention a few. For these reasons, researchers at Forrester recommend that, “The first step in protecting your company from bad bots is to understand what kinds of bots are attacking your firm.” So let us briefly look at the main bad bot threats CISOs have to face, and then delve into their industry-wise prevalence. As the need for mobile apps increase, developers are looking at ways to build better apps in a faster way. New frameworks are emerging to make work easier for app developers. Developers can create the most attractive native-like apps with Cross-platform app development. These apps provide a better user experience while making the developing process easy and fast. As more and more frameworks emerge, there is a compulsion to compare these and find out which is more suitable. Flutter is a reasonably new framework while React Native has been here for quite some time now. Both these are cross-platform frameworks helping to develop native apps easily. A comparison of these frameworks will help many app developers to decide which will be better for their apps. 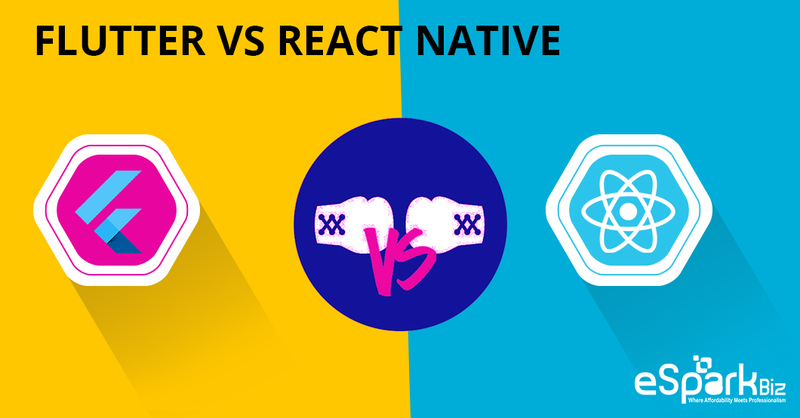 While Flutter is a product from Google, Facebook had launched React Native. Cross-platform frameworks are a great help for developers because it avoids the need for maintaining two teams for the two mobile platforms. When you cancel an index rebuild or a create index operation in SQL Server prior to SQL Server 2017, the database engine must roll back all the work it had done on the index. Because of this, when you restart the index rebuild or create index process, SQL Server has to start all over again at rebuilding or creating the index. This causes lots of processing and requires resources just to redo what was done prior to cancelling the indexing rebuild or create index process. But if you migrate your older versions of your databases to SQL Server 2017, you can restart your online index rebuild operations. Plus, with the rollout of the previews of Azure SQL Database or SQL Server 2019, you can pause and restart both your online rebuilds and creation processes. Being able to pause these online index operations allows SQL Server to pick up the rebuild or create index operations where they left off. A typical cell phone has nearly 14 sensors, including an accelerometer, GPS, and even a radiation detector. Industrial Things such as wind turbines, gene sequencers, and high-speed inserters can easily have 100 sensors. People enter data at a snail’s pace when compared with the barrage of data coming from the IoT. A utility grid power sensor, for instance, can send data 60 times per second, a construction forklift once per minute, and a high-speed inserter once every two seconds. Technologists and businesspeople both need to learn how to collect and put all of the data coming from the industrial IoT to use and manage every connected Thing. They will have to learn how to build enterprise software for Things versus people. The industrial IoT is all about value creation: increased profitability, revenue, efficiency, and reliability. It starts with the target of safe, stable operations and meeting environmental regulations, translating to greater financial results and profitability. “Fintech is fantastic as it is, but it is not a panacea,” said banking specialist Mark Aldred by email, of ATM software firm, Auriga, the banking and cash management firm. Access to Cash, an independent body established to gauge the effects of going cashless, reported in its final review in early March that 2.2m people rely solely on cash while 8m would struggle in a completely cash-free society. “There are technological developments which could address many of the needs of those who depend on cash,” reads the executive summary, citing the UK’s reputation as a source of financial technology innovation. The word ‘fintech’ appears 19 times, each time exploring how the fledgling sector could better serve the 2.2m. However, the report also acknowledges that fintechs tend to target early adopting consumers as opposed to the majority of late adopters who populate the 8m underserved. “Fintech is seeking to move from its digitally-savvy demographic,” said Aldred. “Key to mainstream adoption of app-only banks and other fintech options will be how trust is developed in availability of these services. The agency said to be certain that it was a criminal attack, the electronic evidence that could be found within the IT systems affected by the attack must be preserved, as this is essential for any criminal investigation. "It is of critical importance that we increase cyber preparedness in order to protect the EU and its citizens from large scale cyberattacks," said Wil van Gemert, deputy executive director of operations at Europol. While European governments and businesses face a range of threats, it is notable the announcement comes ahead of European elections in May and a number of other votes across Europe this year. As well as large-scale ransomware attacks, Europe is keen to stop any repeat of the election meddling that affected the US Presidential election in 2016. In February, Microsoft warned that it had seen recent hacker activity targeting democratic institutions in Europe, including attacks on election campaigns, but also think tanks and non-profit organizations working on topics related to democracy, electoral integrity, and public policy and that are often in contact with government officials, and said that Russian intelligence was behind the attacks. Operational challenges are further compounded by difficulty in hiring and retaining skilled personnel, which, together with lack of headcount or resources, were cited as the top challenges faced by security leaders. The findings show that this is driving an increased reliance on outsourced services, with approximately a third of enterprises outsourcing at least a part of their security operation, up 12% from 2017. This trend looks set to continue for the foreseeable future, with 39% of respondents stating they expect to increase their investment in outsourced services in the next 12 months. “In leaning on outsourced security professionals, businesses are identifying the short-falls of their internal processes and capabilities and are moving to address risk in the only way they can,” added Anstee. “There is nothing wrong with this strategy, as long as businesses are clear that they still own the underlying risk.” Adding to the challenge facing organisations is an evolution in DDoS attack size, with 91% of companies experiencing an attack indicating that their internet connectivity was saturated on at least one occasion. Deep tech startups rarely follow the established funding progression of other types of young tech enterprises—seeking money from friends and family, then angel or seed investors, then successive rounds of venture capital investment at increasing valuations (which validate the decisions of previous investors), leading ultimately to a trade sale or an IPO. In deep tech, public funding plays an important role in the early phase, and friends-and-family money is rarely significant relative to the substantial capital requirements of early R&D. Private-public financing schemes are becoming increasingly important to financing deep tech ventures along their entire life cycle, and corporate venture capital (CVC) funds, incubators, and accelerators also have become prevalent partners since they provide not only funding but other critical forms of support. ... The growing deep tech ecosystem facilitates research into almost any kind of technology, from things we can’t see to concepts that relatively few can explain. This ecosystem is rooted in a handful of trends.